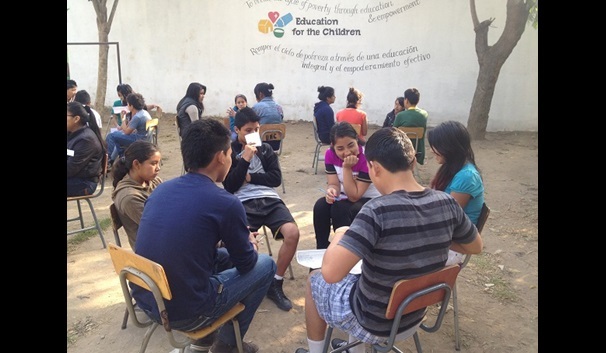 The Saga Charitable Trust is supporting the School of Hope in Jocotenango. The Trust is working with the organisation 'Education for the Children' at their school in Jocotenango, Guatemala following the award of a grant in March 2015. The school provides a free education to hundreds of children who live in an area deeply affected by poverty and crime. Education provides them with a real chance of a better future and an opportunity to support their families. The Trust grant will provide textbooks and other essential educational materials for 121 higher education students, who would not otherwise be able to afford the materials they need for their various courses and exams. By providing these materials we help to ensure a low drop out rate and the best possible outcomes for the students futures.